The tenth annual Reading Fall Street Faire, hosted by the Reading Rotary Club, will be held on September 9 from 12:00 noon to 5:00 pm throughout downtown Reading. This annual community event brings together restaurants, retail businesses, and community groups for a fun-filled, family-friendly day with a children’s area, bands, and performances, and numerous vendor and community group booths to visit all located throughout Reading’s downtown. 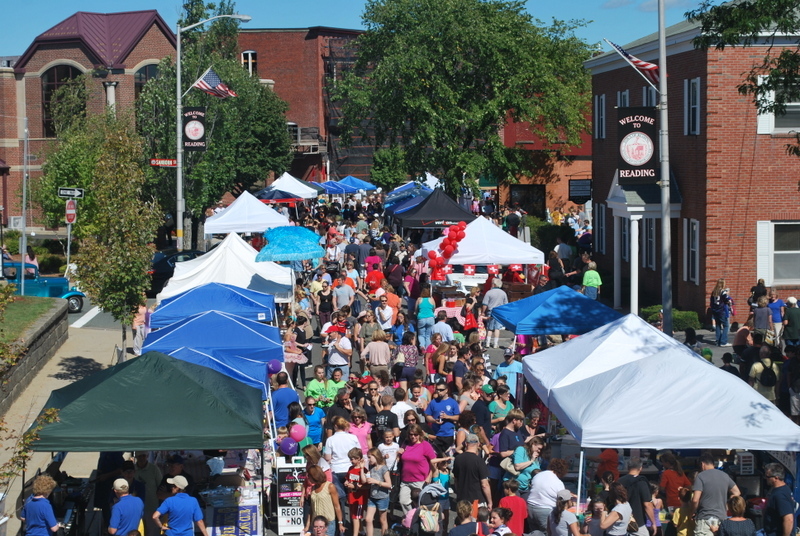 Considered one of the best events of the year for the town of Reading, the annual Street Faire is a great opportunity for local and regional companies or organizations to connect with the Reading community. In 2017, there were more than 180 vendors present for the event. On September 9, participants can expect to see community organizations, and vendors for food, goods, and services, and more. There will be live performances on two stages: the Upper Haven Street Stage and the Lower Haven Street Stage. Also, there will be a children’s area with games, a large area with amusements, a Patriots Tailgate, and a 5K Road Race prior to the start of the fair. This year there will also be a few surprises. Questions? Go to www.fallstreetfaire.com and click on the CONTACT button in upper right.